I love podcasts. I’ve learned more from free podcasts than I did from a $200,000 college education. There’s a podcast for literally every topic under the sun. Actually, there’s about twelve for every topic under the sun. A podcast can be broad or extremely specific. It’s basically radio on-demand. You listen to exactly what you want, exactly when you want to. And it’s completely free–except for the Audible and Stamps.com commercials that sponsor just about every podcast, though you can skip over them, anyway. While there are some podcasts I listen to for pure entertainment value, I listen to many more podcasts to learn. The reason I like podcasts for educating myself, more so than books or videos, is that I can listen to podcasts while doing other things. A lot of our time is spent doing mindless tasks like driving, shopping, cleaning the house, doing dishes, running errands, cooking, exercising, etc… They’re mindless tasks, but they occupy our eyes and/or hands. Our mind and ears are free, however; so why not listen to a podcast to occupy our mind and learn something while we’re doing those mindless tasks. You can learn a lot about a person by looking at the podcasts they’re subscribed to on their iPhone. In my case, my podcasts provide a snapshot of my life. Below are some of the areas of my life where listening to podcasts have helped me. Creative Screenwriting Magazine / The Q and A with Jeff Goldsmith — Jeff does in-depth interviews with screenwriters after their new films come out. I especially like when they talk about how they broke into the industry. Scriptnotes with John August and Craig Mazin — John and Craig are two of the top working screenwriters in Hollywood today, and they tell it like it is. KCRW’s The Treatment — Elvis Mitchell is a great interviewer, though his guests tend to be more actors and directors than screenwriters. BAFTA Screenwriters Lecture Series — These lectures, from screenwriting greats like Charlie Kaufman and Scott Frank, serve as a master class. Apple’s Meet the Filmmaker — Again, mostly actor and director interviews, but there are a lot of writer/directors in the archives. Austin Film Festival’s On Story Podcast — More interviews with writers and directors. On the Page with Pilar Alessandra— One of the earlier screenwriting podcasts I found years ago, still going on, hosted by a script consultant. Scripts & Scribes — A newer podcast. Has interviews with writers, but also with the agents and managers who represent them. Nerdist Writer’s Panel — Interviews with working television writers. If you haven’t already noticed, I love interviews. There’s nobody better to learn a craft from than the people currently doing it professionally. Plus, I love the interview format, where you get to listen to experts talk, unscripted and unedited. Not interested in screenwriting? No problem. There are podcasts for every art form or career you might be interested in. Just search iTunes. When I became interested in writing novels, I once again turned to podcasts to learn how. Writing Excuses — “Fifteen minutes long, because you’re in a hurry, and we’re not that smart.” – Advice from current successful authors. Geek’s Guide to the Galaxy — Interviews with science fiction and fantasy authors, plus panel discussions. Behind the Black Mask: Mystery Writers Revealed — Interviews with crime and noir writers. Adventures in SciFi Publishing and SF Signal — Interviews and discussions. Odyssey SF/F Writing Workshop – Lectures from workshops. Sword & Laser – Fantasy and science fiction news and interviews. Dead Robots’ Society — Hosted by indie sci-fi writers. The Porfolio Life with Jeff Goins and The Creative Penn – On the business of writing. Rocking Self-Publishing – Everything self-publishing. Plus, I’ve listened to random episodes from various other podcasts that featured an interview with a particular author I liked. When I was experiencing health problems, and my doctor couldn’t find anything wrong with me, I learned the truth about health and nutrition from the podcasts below, which taught me how to heal myself. Bulletproof Radio — Dave Asprey isn’t the most vegan-friendly guy, and I’ve yet to try his coffee, but I’ve learned a lot from his interviews with health experts. Rich Roll Podcast — Rich Roll, on the other hand, is super vegan-friendly and has great long interviews with people in the world of health, fitness, and more. No Meat Athlete — Vegan runner. Also has a great blog. And a great book. Renegade Health — Various health topics. Ben Greenfield Fitness — Ben can get very technical, but he provides great information. Actually, I’m not sure how to categorize the following shows because they cover just about everything: health, business, writing, self-improvement, investing, entrepreneurship, and all-around personal development. The one thing that remains constant is they always have a fascinating guest. The Tim Ferriss Show – Four-Hour everything in an hour… or sometimes two. Tim’s podcast is less than a year old, but already one of my favorites. The James Altucher Show and Ask Altucher – “Choose Yourself” — James has good advice for all areas of life. When I wanted to cure my social anxiety, my first source was podcasts. Social anxiety may be one of the rare topics that there aren’t a dozen podcasts about, but I did find two good ones. The Calm Living Blueprint – Hosted by Candice Esposito, a naturopathic doctor who struggled with social anxiety herself. New episodes don’t come often, but the early episodes taught me everything you need to know about Cognitive Behavioral Therapy. The podcast led me to try her online program, which helped as well. Shrink for the Shy Guy – I only started listening to this podcast a few months ago, but Dr. Aziz really knows what he’s talking about when it comes to social anxiety, probably because, as he says, he used to suffer from it himself. Aziz generally speaks from a guy’s perspective, but his advice is useful for everyone. Plus, in addition to the great advice, he’s funny and genuinely entertaining. While not specifically about social anxiety, meditation has been instrumental in helping me. Sometimes I use apps like Calm, Headspace, and Breathe, and other times I listen to the guided meditations from these podcasts: The Meditation Podcast and Meditation Oasis. Also, some podcasts have done single episodes devoted to the topic of social anxiety, and other podcasts like James Altucher’s have mentioned advice for overcoming social anxiety (basically, exposure). While education and personal development are great, sometimes I just want to listen to a podcast for light entertainment. Whatever your personal hobbies or interests are, there’s bound to be at least one podcast devoted to it. The B.S. 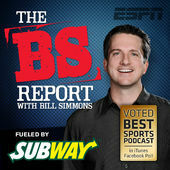 Report with Bill Simmons — The first podcast I listened to, back when it launched in 2007. Simmons, my favorite sports writer interviews people around the sports world. Serial – If you’re one of the few who hasn’t listened yet, yes, it really is that good. 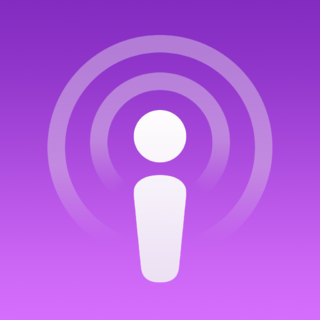 StartUp — Vastly different from Serial but just as good… The podcaster’s podcast. The /Filmcast – Movie reviews. I also listen to host David Chen’s other podcasts reviewing TV shows like The Ones Who Knock (Breaking Bad), and A Cast of Kings (Game of Thrones). The Starters — Formerly The Basketball Jones, now also a TV show. All about the NBA, from the perspective of geeky fans (like me). WTF with Marc Maron — Interviews with comedians that go way in-depth, and often dark. StarTalk Radio — All things science with everyone’s favorite astrophysicist, Neil deGrasse Tyson. And a special shoutout to the old official Lost podcast, hosted by showrunners Damon Lindelof and Carlton Cuse. Hearing an inside perspective from the writers of my favorite television show at the time was a major influence on me to pursue a career as a screenwriter. As much as I love podcasts, they’re not the only source I learn from. I still read lots of books, blogs, and websites, and watch videos and documentaries. I even remember a thing or two I learned in college. Looking at the list above, you can see my tastes are wide and varied. That’s the great thing about podcasts. There’s one for everyone and everything. And if there’s not, you can start your own. Who knows, maybe someday, I will too. Pingback: Audiobooks vs. Reading | Tim Barry Jr.